Strenuous trekking is continuously rewarded with dramatic Himalayan scenes, including four of the world’s highest peaks: Cho Oyu (8153 m.), Makalu (8463 m.), Lhotse (8500 m.) and Everest (8850 m.). Breathtaking mountain vistas are complemented by visits to Sherpa villages, homes and monasteries offering you an insight into the quiet but, culturally vibrant Sherpa way of life. Day 02 ast minute preparations for your trek or if you are sufficiently prepared then sightseeing of Patan Durbar Square, Swoyambhunath and Bodhnath. 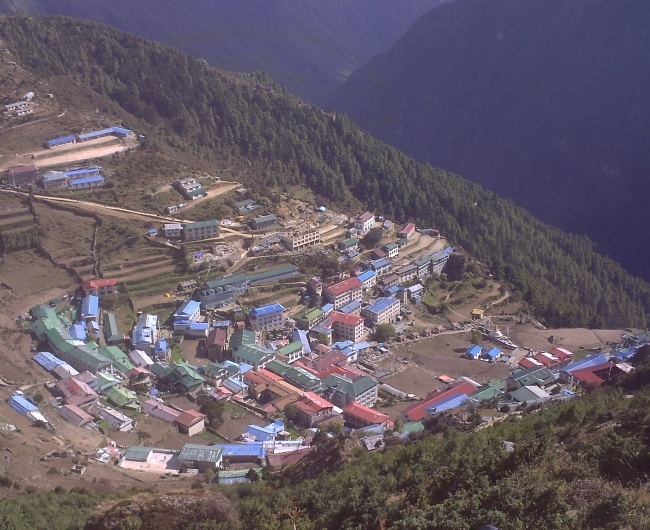 Day 03 Transfer to airport, fly to Lukla (2860 m), trek to Phakding. Day 04 Trek to Namche (3440 m.
Day 05 Trek to Thame (3800 m.). Day 06 Trek to Khumjung (3790 m.). Day 10 Trek to Gokyo (4750 m.). Day 13 Cross Cho La Pass (5420) and camp at Dzongla (4830 m.). Day 15 Trek to Gorakshep (5164 m.). Day 17 Trek to Chhukhung Valley (4730 m.). Day 18 Trek to Dingboche (4530 m.). Day 19 Trek to Thyangboche (3867 m.). Day 21 Trek to Lukla. Day 22 Fly to Kathmandu. Depending on your arrival time further sightseeing is possible. Day 24 At an appointed time transfer to the airport for your departure from Nepal.